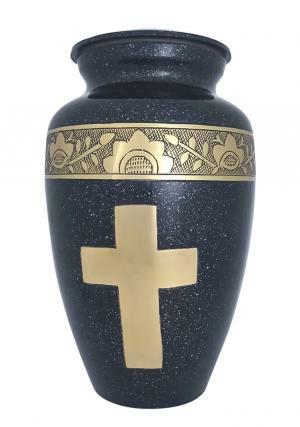 Engraved Golden Cross Black Adult Memorial Urn for Ashes is engraved in black with floral band across the urn and large cross in polished shiny gold. 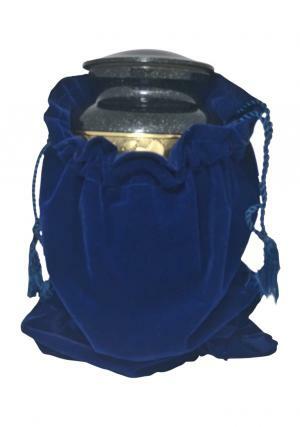 The design on the urn stands to keep soul pure. 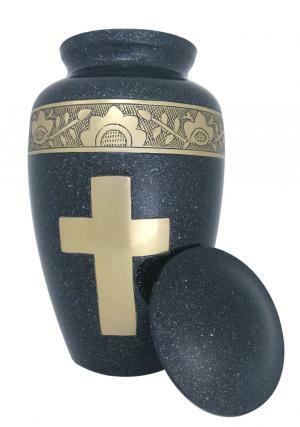 The Golden Cross Adult Urn is made of solid brass to ensure the safety of the loved one's ashes. 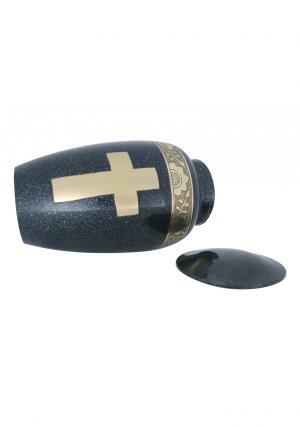 The large cross adult urn in glossy black with screw threading on the lid used to secure ashes of the cremated. The lid is coated with glossy ash black with flat edge. 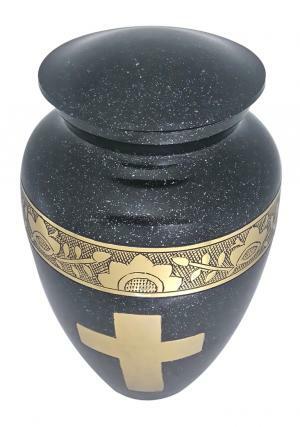 The dimensions of Engraved Golden Cross Black Adult funeral Urn is 10.24 inch height, 6.10 inch width and weighs 2 kg which is capable of preserving ashes of 200 cubic inch approximately.